Been working on this for ages (almost a year now). It is a K2, fully loaded, with 100WPA and ATU in an external encloure. The Mic the end user will use is different to mine so used the K2 mic rework eliminator... here this is it being fitted. To change mic you adjust the jumpers. Control board removed this is the rear of the front panel. P1 mike header jumpers already in place. But not configured yet. Side panel off to show the jumpers. They sell them dry and you add electrolyte (sulphric acid)... They will then have 9.5AH charge and will run what I need for more than couple hours. Will recharge constantly at 0.9A from Pro-peak smart recharger, using a PSU. So in the photo.. At the back left, a PSU... actually the workbench one but doesn't matter.... output is 12V... into the Yellow (front left) smart charger (will do Pb, Li, NiMH, NiCd batteries and in all sorts of combinations, mine is the one that has small charge/discharge rates, no fan so silent), from there to the battery... I have meter in series (just to see the charge rate) and a small ebay voltage LED module across the battery. It takes about 12 hours from flat to recharge it.... I should only need it in C5 twice (not this actual battery but another like it. I can also just shove 13.8V into the battery at 2-3 amps (got a couple limit resistors and 6 amps diodes in a set of leads already (wirewound 10W things) but that will wreak the battery, long term but will recharge in only a few hours, which I might do for the trip last day if I do not need it after. I'll give back to the place I bought it after. If operating from the hotel mains (might be possible) then will use PSU and the recharger at same time ... It is RF quiet I know this already. 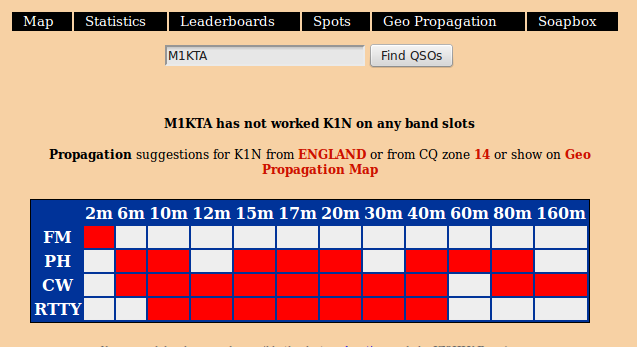 Going to be trying data modes (expect RTTY and PSK) on 30m from C5 for those interested. Once the current build backlog is dealt with (K2 to finish off) I will be off to The Gambia in 12th March for BERU. Will probably activate AF-060 Bijol Island one morning or afternoon when out there (until 17th). The Gambia coast... about mile or so into the Atlantic.... note the typical warm/hot Gambia weather... not that day, it was cold! I set-up literally as the boat landed so was away from the bird nesting areas. As required by the warden. Note the seaweed I was at high water mark! The remains of the old lighthouse is a prize nesting site and the highest thing on the islands. Don't think I'd like to be here in rough weather though as the waves could cover this place. It is a big sand bar really. Terns... and see the little baby terns too. Sort of fluffy grey with orange legs and beaks. Me operating photo taken from the lighthouse... note water had gone out a bit since arrived.... that is the Gambia coast in the back ground. When I started I was almost sitting in the water... this was as dry as it got. The guide (in orange top) and the boat man on the left. Stuffing the most important bit inside the life jacket the log book!